Wow. Just wow. I had no idea how many people like reading this thing. I just checked my e-mail and was stunned to see how many "Where are you?" e-mails there were. I'm amazed and flattered. As Johnny Winter once sang, "Every now and then I know it's kind of hard to tell, but I'm still alive and well". After moving my business and dealing with a few unforeseen problems with all that, I thought I'd take a few weeks off. Just spend a little more time by myself and with friends, family and pets. Anyway... With things a little more settled (Except that the new building still lacks anything that resembles real air conditioning. Arrrggghhh.) I should be back to this shortly. Thanks to everyone who sent me e-mails. Thanks for you patience. No, I didn't flip out an buy a 1989 Hyundai Excel. 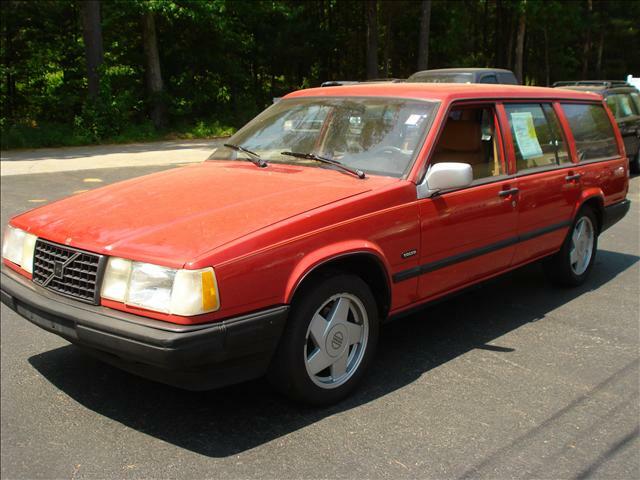 (In fact, I'm looking at a Volvo 740 Turbo wagon - pictured above - this weekend, if it's still available. I'll post something about that if it happens.) No, I didn't get blown away by the tornado that recently hit New England. (Although it was pretty close - too close, in my mind - to where I live and work. A friend and I took a drive around the areas it hit. I grew up on Long Island and have spent the last 28 years in Massachusetts - areas not known for tornado activity - so this is the first time I have ever seen the destruction a tornado can do. It's pretty amazing. I'm not sure how all of you that live in the US's "Tornado Alley" deal with that threat on an almost daily basis.) And, no, I'm not in prison for "Grand Theft Biturbo", as someone jokingly suggested. (Given the typical resale value of a Biturbo, it would probably fall under petty larceny, anyway.) It was simply a case of not realizing how long it had been since my last post. Look for new posts soon. Thanks again for your concern. Most happy to hear things are OK. The 700/900 series of Volvo turbos are absolutely fantastic automobiles. Just turn the boost up from ~7.5psi stock up to ~13psi and have fun. Hey, I am also glad to see that you've returned. I was starting to think the worst... and I don't mean retiring from this blog and purchasing a Camry! PHEW! Welcome back dude. We missed you. There are some cruddy car writers out there- and such over designed car sites.. (Jalo*nic!). Really glad none of the imagined stories happened. GREAT to see all is well... and thanks for starting with a Volvo 740 Turbo. That was my mega-dream car for years. It's a sweet ride. So huge, yet a small footprint, with crazy power and comfort. Best of luck buddy! Was just about to ask if you were alive! I have been Volvo free for 5 years. Very agreeably surprised at your return.